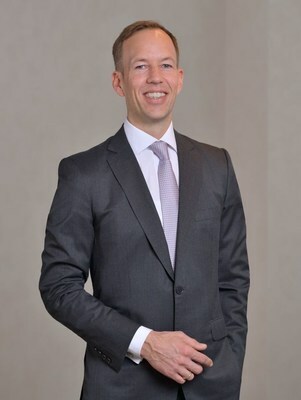 ISTANBUL, March 27, 2019 /PRNewswire/ -- Enerjisa Enerji was granted an international award for its February 2018 public offering, the biggest yet in the Turkish private sector. 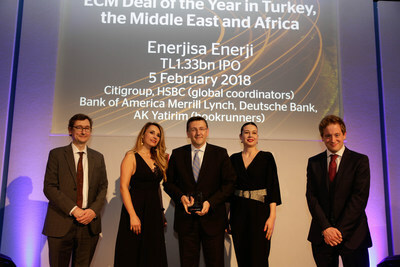 At the "Equity Capital Markets" awards, one of the most prestigious international financial market ceremonies held by Global Capital in London, Enerjisa Enerji won the "ECM Deal of the Year in Turkey, the Middle East and North Africa" award. Attending the ceremony on behalf of Sabancı Holding and Enerjisa Enerji, Sabancı Holding CFO Barış Oran received the award. Organized by Global Capital, the "Equity Capital Markets" awards is accepted as one of the most prestigious awards with recognition of achievement across the entire equity capital markets. In this years event, Turkey's leading energy company Enerjisa Enerji received the "ECM Deal of the Year in Turkey, the Middle East and North Africa" award. Enerjisa Energy received the award in London on March 19 within the scope of the program, which has awarded the capital market transactions to the world's leading organizations in the Middle East and North Africa since 2015. "Our success story will continue." "The public offering of Enerjisa Enerji is Turkey's biggest public offering in the private sector, and the fourth one by Sabancı Holding. Enerjisa Enerji completed 2018 with a performance that exceeded last year's commitments to the investors. As Sabancı Holding, we will confidently create a new success story within the markets through our tradition of transparency and keeping our promises in public offerings." "Our goal is to add value to all of our stakeholders with next-generation practices." "We are proud to have received such a prestigious international award for our public offering, which blazed a new trail in Turkey. Being aware of our responsibilities as the pioneering and leading company, we as Enerjisa Energy prioritize creating upmost value to all our investors and stakeholders. With this vision, we realized a hugely successful public offering in February 2018 and attracted great interest from both domestic and foreign investors. We received a total demand of 4.8 times of the shares covered in the offer during the book-building process and made history as the biggest public offering of Turkey on the TRY basis. Following our public offering, we continued to deliver financial and operational performance, exceeding our targets and creating real growth for our shareholders. In line with our medium and long-term targets, we will continue our efforts to ensure sustainable energy in 2019." As a result of the public offering that garnered great interest from domestic and foreign investors, Enerjisa Enerji was traded on Borsa Istanbul from February 8, 2018. With a market capitalization of seven billion 380 million TRY, Enerjisa Enerji's public offering made history as the biggest public offering of Turkey on the TRY basis.